Original Cost Was Over 2.3 M! Builder Custom Home For Executive Living Using Only The Finest Materials. Gourmet Kitchen With Dual 36" Subzero Refrigerators, Subzero Refrigerator Drawers, Wolf Range & 2 Bosch Dishwashers. Pennville Custom Cabinetry With William Ohs Limestone Range Hood. French Antique Limestone Floors, Wine Room, 3 Masonry Fireplaces, Radiant Heat, Auto Generator & Custom Barnwood Heated Garages. Outdoor Features Fireplace, Copper Gutters, Bluestone Walkways, Real Clay Pavers And Sprinkler System. Landscape Was Professionally Designed By Architect. Home Is Well Maintained! Must See To Appreciate! 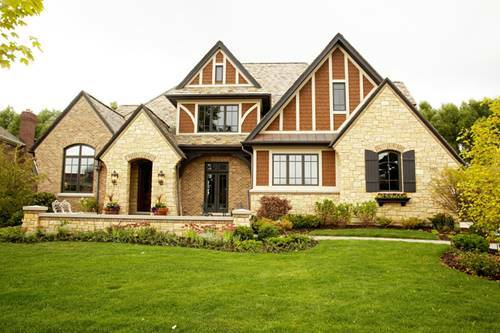 For more information about 4403 Royal Fox, St. Charles, IL 60174 contact Urban Real Estate.